For those of you waking up to a snowy start this morning, here’s how long the wintry conditions are set to last in our area. 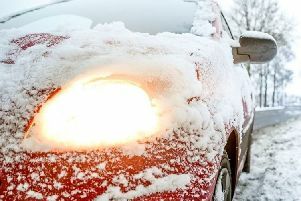 Yesterday the Met Office issued a warning for snow in the East Midlands due to an area of rain likely to freeze over a central swathe of the UK. 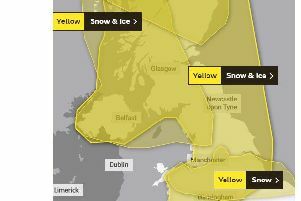 The ‘yellow’ warning is set to stay in place until 11am this morning (Sunday, March 10) and some roads and transport services may be affected. However, throughout the day we can expect cloud, outbreaks of rain, sleet and snow, predominantly on higher ground. This will clear in the early afternoon to leave a mixture of sunny spells and showers, some heavy with hail, sleet and hill snow. Forecasters say it’s ‘not going to be that warm’ due to increasing icy winds. And while temperatures will peak at double figures down south, the maximum temperature up here will be around 7 °C. Keep checking back for the latest weather updates.